Glide-Line can be constructed with as many strands as needed and even has a patent-pending centerline adjustment feature. Shuttle, divert, merge, sort, stack, lift & lower, transfer and turn – with just one system. 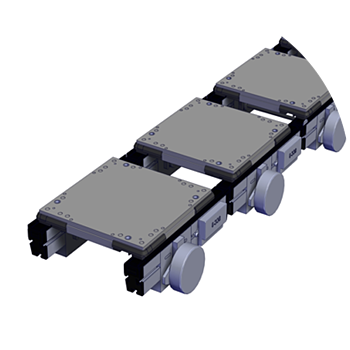 Glide-Line ZP, a gentler, more reliable and energy efficient conveyor solution thanks to eliminating 100% of the backpressure caused by accumulation. 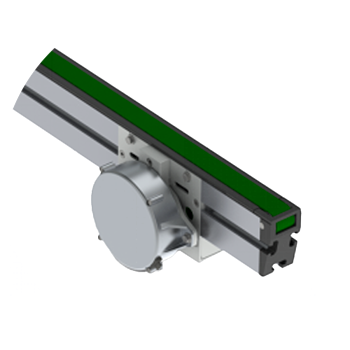 A configurable conveyor designed for precision indexing, durability and clean-room environments, Glide-Line Single Strand solutions are a great fit for the Feeder Industry. This is a best in class solution at a competitive price made possible by using 21st century advanced manufacturing and engineering techniques. Glide-Line™ is: Easy. Flexible. Precise. Fast. Glide-Line offers the most versatile multi-strand panel and pallet-handling solution available for the assembly automation industry. Advanced configuration system called IMPACT (Interactive Modeling Program and Application Configuration Tools) streamlines the design experience, ensuring that Glide-Line will meet your exact specifications. Glide-Line’s digital manufacturing process means fast, efficient manufacture of your specific configuration, and our IMPACT configuration tool generates real-time part numbers and pricing, so you go straight from design to purchase. We promise you will meet your project’s tightest deadlines; we promise you will be impressed.